Want another opinion? Please call one of my AMAZING Advisors in my Group! Each one is hand picked by me. Click here now! To view my BIGGEST keen listing with ALL client feedback, please click HERE. Hello! My name is Kimberly. 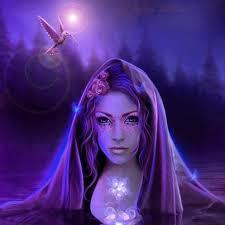 I am a Professional Clairvoyant Psychic & Medium with 27 years experience. My gifts include: Clairvoyance (seeing/sight), Clairsentience/Empathy (feeling), Clairaudience (hearing), Telepathy (thought) and Mediumship (connection and communication with those that have crossed over). I am SO glad you and I are connecting today. Welcome to my keen.com website *smiles*. Please know I read very fast verbally on the phone and also in chat (typing). This is how the information comes through from Spirit. I will not waste your time or hard earned money. I treat each Caller with the upmost respect, love and professionalism and kindly ask the same in return. If you can not treat me with respect or are contacting to "test the psychic", please kindly call elsewhere. Psychic Readings Love & Relationships 27 YRS EXP~BLAZING FAST~FACTS~TRUTH~LOVE ANSWERS! Psychic Readings Tarot Readers FAST * 27 YRS EXP * GET FACTS/TRUTH * RESULTS! Psychics Financial Outlook DO YOU WANT TRUTH? IT IS RIGHT HERE! 27 YRS EXP! Psychics Otherworld Connections 27 YRS EXP ~ 5 STAR READER * FAST/ACCURATE/TRUTH!! Psychics Life Questions 27 YRS EXP * SUPER FAST * FACTS * TRUTH/ACCURACY! Astrology Readings Recorded Forecasts 27 YRS EXP ~ FAST * ACCURATE * FACTS & TRUTH! 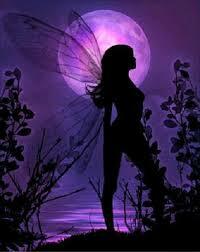 Psychics Dream Interpretation SUPER FAST * CLAIRVOYANT * NO FLUFF ~ GET TRUTH! 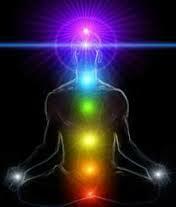 Psychic Readings Spiritual Readings FAST * ACCURATE * NO FLUFF * 27 YRS EXP * TRUTH!!! Astrology Readings Chinese Astrologers 27 YRS EXP*CLAIRVOYANT*FAST*ACCURATE*HONEST! Psychic Readings Other 27 YRS EXP * 5 STAR CLAIRVOYANT * FAST/ACCURATE! Astrology Readings Astrologers CLAIRVOYANT ~ 25 YRS EXP ~ SUPER FAST ~ GET TRUTH!